A motorcyclist was hit by a car Wednesday night in McAllen, Texas, and police would like some help identifying the car. Hell, identifying cars is what most of us do for fun, anyway! So let’s see if we can help. The motorcyclist didn’t have severe injuries, thankfully, but only a monster hits someone and just drives away. 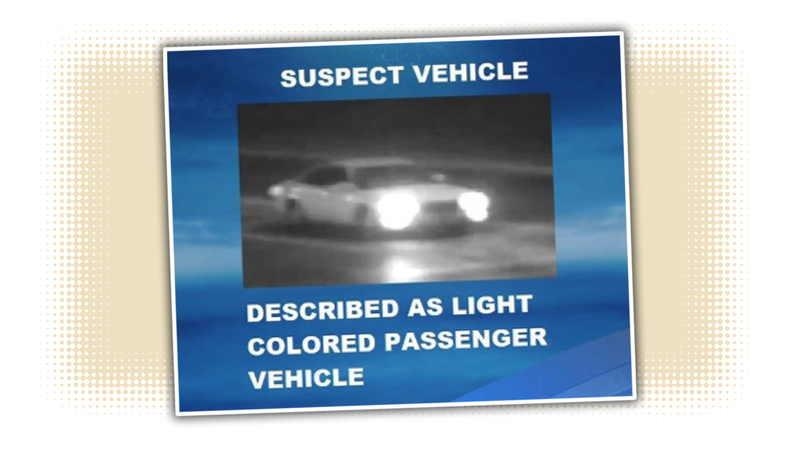 While the police-provided description of a “light colored passenger vehicle” is all but useless, the car itself is somewhat distinctive. The image is very blurry, but from what I can see this looks like an American car from the early-to-mid 1970s or so. It looks like a two-door hardtop, with what sort of looks like a vinyl top. I’m inclined to think GM, and I almost think something like a ‘73 Skylark, but that C-pillar isn’t quite right. A couple other details: looks to have quad lights (brights on), the indicators seem to be in the bumper below the lights, and the grille looks undivided (so likely not an Olds or Pontiac). So I’m not exactly sure, but I bet we can figure it out. If anyone absolutely knows, please call McAllen Crime Stoppers at (956) 687-8477. Jalopnik hive mind power activate!